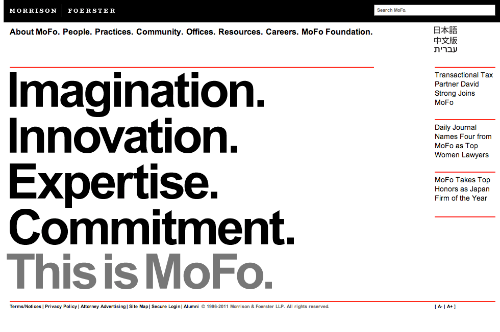 I just saw "MoFo Tech" (above) an edgy-designed newsletter from Morrison & Foerster LLP, a top Silicon Valley law firm. But I'm wondering about the title: MoFo? That's a deliberate choice. Which leads to this question: are lawyers trying to neutralize a pejorative description that's commonly applied to their profession? The Gay community managed to own "queer" following the success of the African-American community, so are lawyers next? 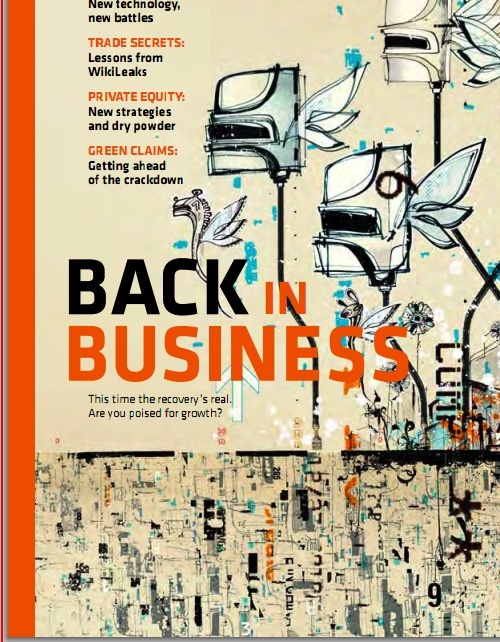 Can lawyers grab "MoFo" for themselves? It seems they already have. 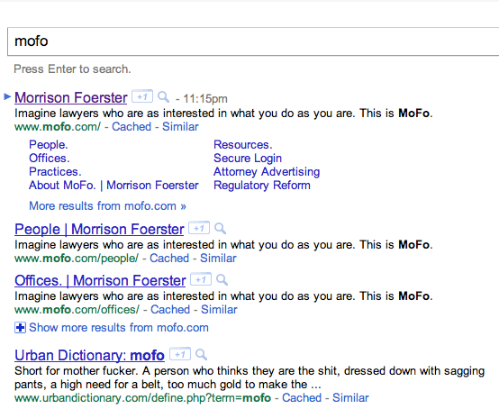 So it seems that with a bit of skillfully applied SEO, lawyers have managed to win the "MoFo" term for themselves, at least online. I'm sure many would agree that they deserve it. So what happens next? Will only lawyers be able to "MoFo" each other?